It has been years since I have kept a consistent blog. As many of you know I wrote every single day of my journey through my daughter Claire’s Cancer battle. I believe I only missed 5 days out of our eight-month battle. I started that blog then, so she could read it someday and also to keep our incredible support group informed. It was in this process that I realized writing was good for me. It was a place to organize all that was floating around in my head and get it out. The other thing I have noticed is that I am only good at writing when I have a passion for something. So now I begin phase two of my blogging life. The thing I have passion to write about – Charlotte, my birthplace and current home; and a smattering of all things real estate to which I also love. 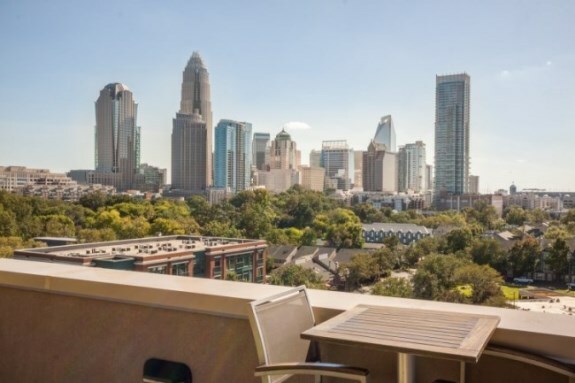 Charlotte, North Carolina a southern U.S. metropolis home to 842,051 residents wedged in the foothills region of the state between the sweetly mysterious Blue Ridge mountains and the salty swagger of the Atlantic coast. Bathed in rich history beginning with its hornets’ nest of rebellion to electing the first African-American mayor in any major southern US city. Charlotte possesses all of the opportunities of the modern world wrapped in a southern bow of hospitality that throttles back the pace and provides the opportunity to stop and chat with a neighbor at the grocery store. A city of steeples provides our hearts and souls true north and a community of action to care for those in need. Majestic oaks line our roads and neighborhoods reminding me that what we have is borrowed from our Creator and nature. Since I was small I have begged those oak trees to tell me all the stories they have seen over their hundred years. We arrived on the national stage with the NBA Hornets, an NCAA Final Four and Hurricane Hugo. Then came tiny regional bank that grew to one of the largest this country has ever seen. The NFL solidified our growth with the Panthers and then the Democratic National Convention. Today, this city is known as the second largest financial hub with the tenth busiest airport in the U.S. But more special than the milestones and accomplishments are the people. I met a client the other day who is relocating here from California and I asked him what the number one difference was between his old home and his new home. He paused for a moment and said, “the people”. He said, “I have never been somewhere that when someone asks how you are doing they really want to know”. While it’s hard these days to find a native in this city, I love that those who relocate here bring with them that which they loved from their old home and embrace the southern charm and hospitality that makes this city the biggest little city in America.